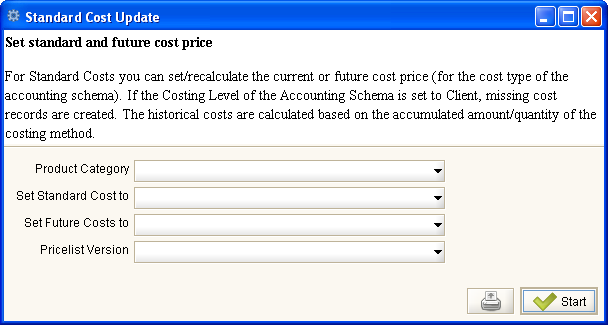 Help : For Standard Costs you can set/recalculate the current or future cost price (for the cost type of the accounting schema). If the Costing Level of the Accounting Schema is set to Client, missing cost records are created. The historical costs are calculated based on the accumulated amount/quantity of the costing method. This page was last modified on 14 December 2006, at 12:29.